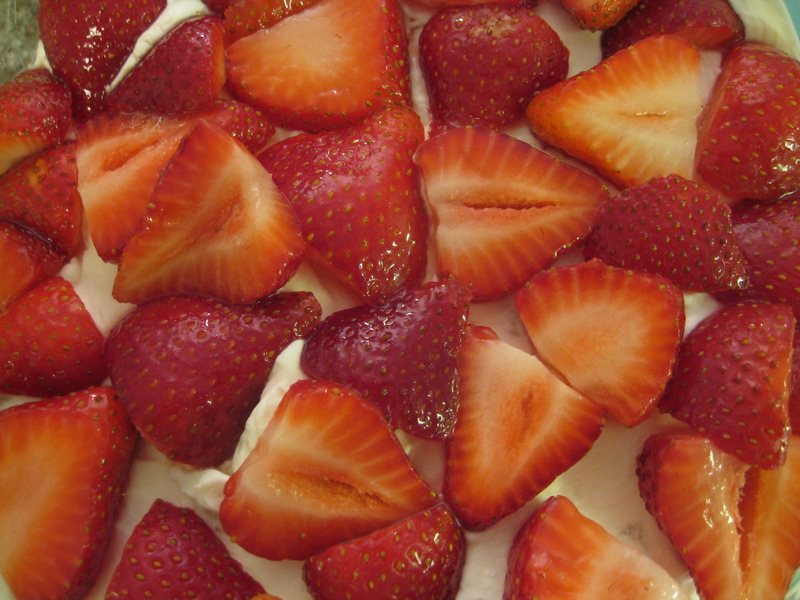 Nothing says summer like strawberries and whipped cream. 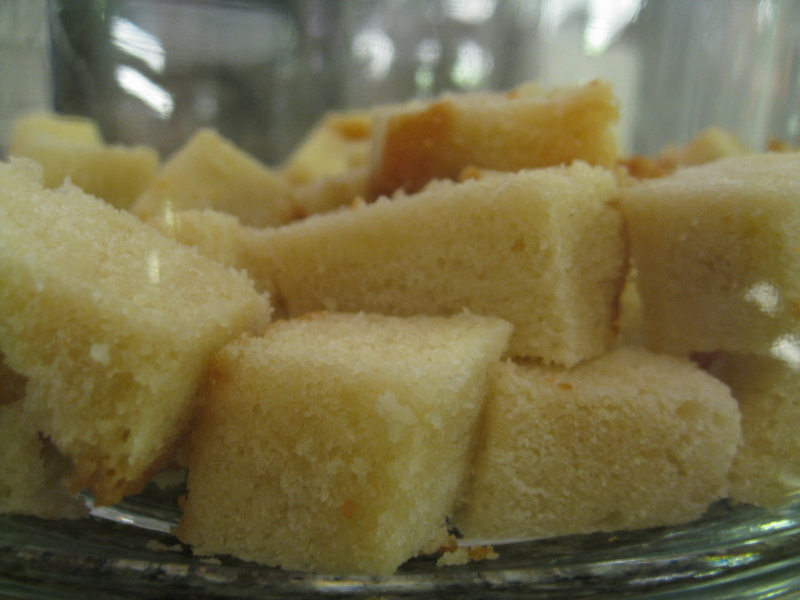 I made pound cake last week (see Nina’s Pound Cake). I took some to school for friends, but I still had about half of it left over, so I popped it in the freezer. My mom gave me a trifle dish a few years ago which I have used to serve fruit salad on numerous occasions, but I had never used it for it’s real purpose: a trifle. Since I already had the pound cake, this was the perfect opportunity. I searched around the internet and found a good recipe for cream that wouldn’t liquefy in the fridge. The whole process is super easy. Cut up some strawberries. Sprinkle with Sugar. 3. Beat together 1 cup of heavy cream, 8 oz. 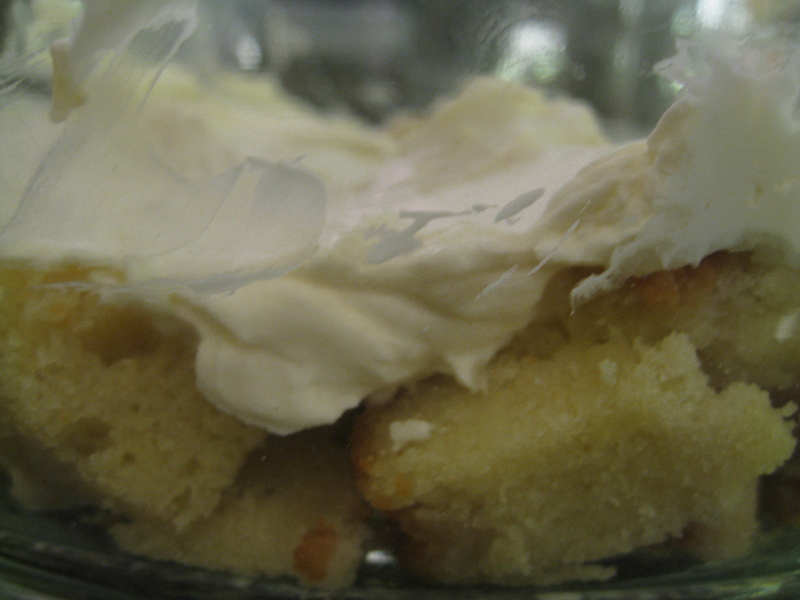 of cream cheese, and 2 tsp. of vanilla. In the future, I’d probably add a little sugar. 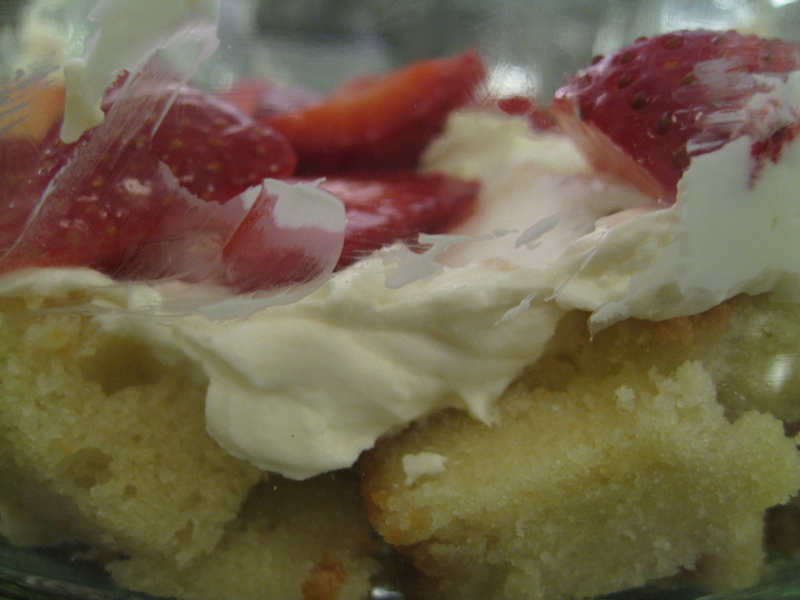 Place a layer of pound cake on the bottom of your trifle dish.